If you’ve noticed that you’re putting on a little weight, it might not be that you’re eating more food. After you reach the age of 25, your metabolism slows by about 5% every ten years. A slower metabolism burns fewer calories. Use these tips from the American Council on Exercise to make the most of your calorie-burning potential. 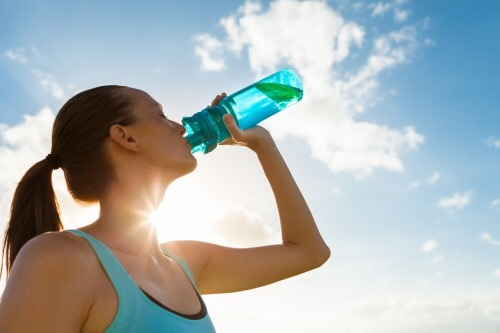 Not being adequately hydrated can decrease the number of calories you’re burning by around 2%, so keep pace with your hydration needs especially during and after exercise. Drinking milk and consuming other dairy products provides calcium, which is involved in fat metabolism. 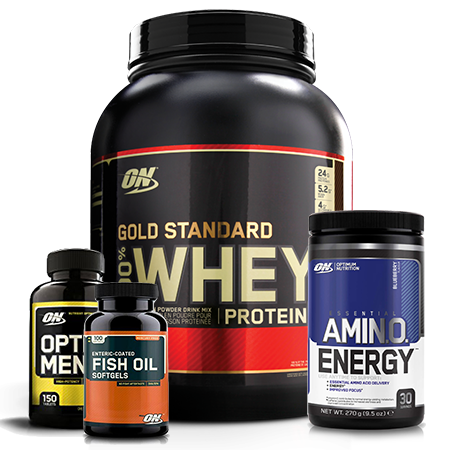 The protein from dairy products also helps maintain muscle mass which is important to metabolism. Vertical jump performance is important for basketball players and other athletes. 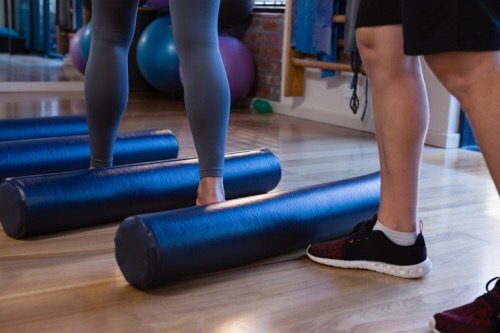 There are a couple of ways to develop this ability, and a study published in The Journal of Sports Medicine and Physical Fitness suggests some approaches might be better suited to different age groups. Researchers divided 59 male basketball players into 3 age groups and assigned subjects from each group to 16-week training programs. Some performed hang cleans and also jumped rope. Others practiced half squats and speed ladder training. Compared to measurements taken before the program began, subjects aged 18 and older improved vertical jump performance with either of these different workouts, but subjects under the age of 17 only improved with the half squat protocol. A pre-conditioning exercise can provide performance improvements for athletes in certain competitive situations. The effect is known as post-activation potentiation. Can caffeine enhance this improvement? A study published in the Journal of the International Society of Sports Nutrition put the world’s most popular stimulant to the test. Researchers had 12 professional male soccer players perform plyometric exercises and sled pulls an hour after consuming 5 mg of caffeine per kilogram of body weight. On another occasion, they received a placebo. Caffeine improved countermovement jump performance 5.07%, 5.75% and 5.40% one, three and five minutes after the pre-conditioning exercise. Jump height only increased at the 3-minute mark (4.95%) with placebo. In an interesting study of adolescent Canadian hockey players published in the Journal of Strength and Conditioning Research, scientists tested the grip strength of 690 male and female athletes between the ages of 10 and 16 years to see if there was a correlation to on-ice performance. For males and females, grip strength increased with age at about the same rate until age 12 where males began to show greater strength. In terms of performance, grip strength in the non-dominant hand was associated with competition at more elite levels of the sport. CAN YOU ESTIMATE REPS TO FAILURE? During a workout, you’re taking the final set to failure. How accurate is your estimate of the reps it will take to get there? An interesting study published in the Journal of Strength and Conditioning Research analyzes estimate accuracy on different exercises with male and female subjects with varying levels of weight room experience. Eighty-one volunteers performed 10 sets of 10 reps using 70% and 80% of their one rep max. They did both chest presses and leg presses. 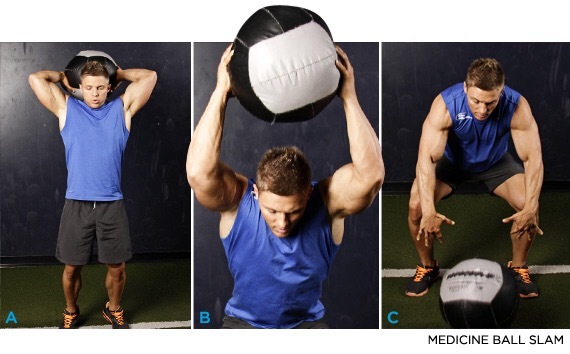 After a set of each exercise with each load they estimated reps to failure on the next set. Subjects were better at estimating reps to failure on the chest press compared to the leg press, where the estimates of males were generally more accurate than those of female subjects. 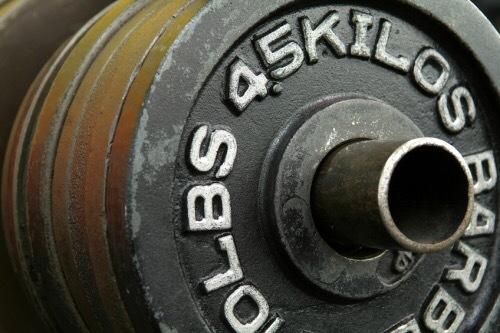 Weight room experience wasn’t much of a factor in estimating reps to failure. Chest training serves several purposes—aside from starting off your weekly gym schedule, of course. 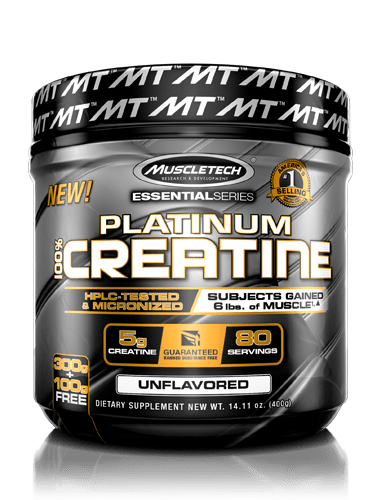 It makes crucial big muscles stronger, adds size that makes your whole upper body look more impressive, and ensures that any shirt looks like you’re wearing a full suit of armor underneath it! Here’s what it doesn’t have to be: complicated! Do this workout once a week for the next month and watch the gains pour in! Don’t forget to take before pics—you’ll want to see the proof of your efforts once you finish your chest transformation! Satiety is a feeling of fullness. It can be influenced by different types of food, and also by your expectations. Consider the findings of a new study presented at a meeting of the British Psychological Society that suggests what you eat might not be as important as what you think you ate. Researchers prepared 3-egg omelets for 26 people. 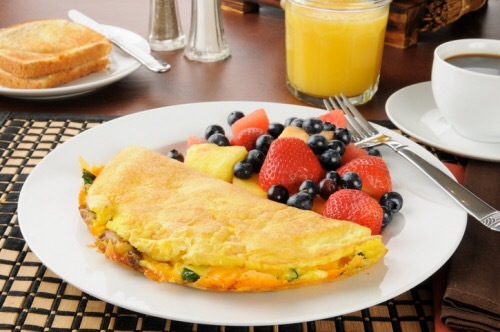 Some were told they had a 2-egg omelet while others believed their omelet was made with 4 eggs. Subjects who were convinced they has a smaller omelet reported being hungrier 2 hours later and consumed more pasta at lunch compared to subjects who were told their breakfast was larger. If you are looking for a meal replacement that maintains your caloric intake high so that you can cut down on your meals. 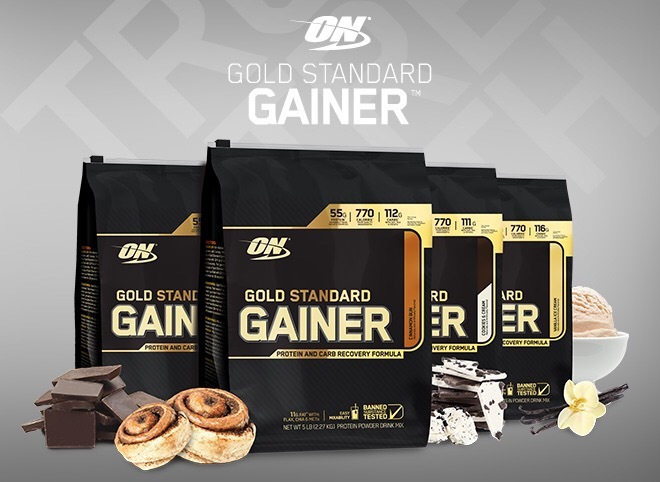 Gold Standard Gainer takes ON’s legendary quality to another level with a weight gain powder formulated for athletes who can benefit from greater physical size and strength. 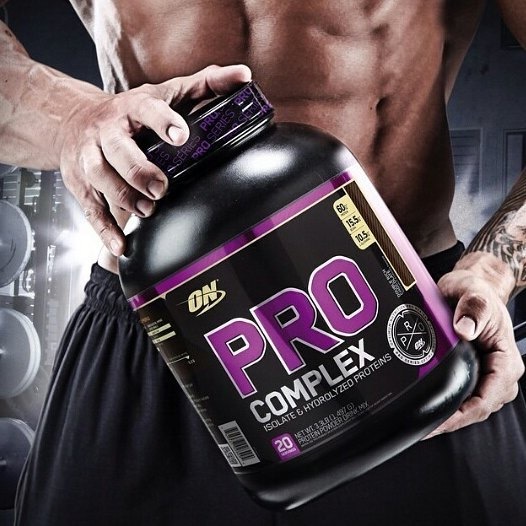 A healthy, balanced diet of food is the key to building a dominating physique, supplementing sensible food choices with quality proteins, complex carbohydrates and good fats in the form of an easy-to-mix shake can help ambitious athletes attain the physical presence they need to succeed in competition. 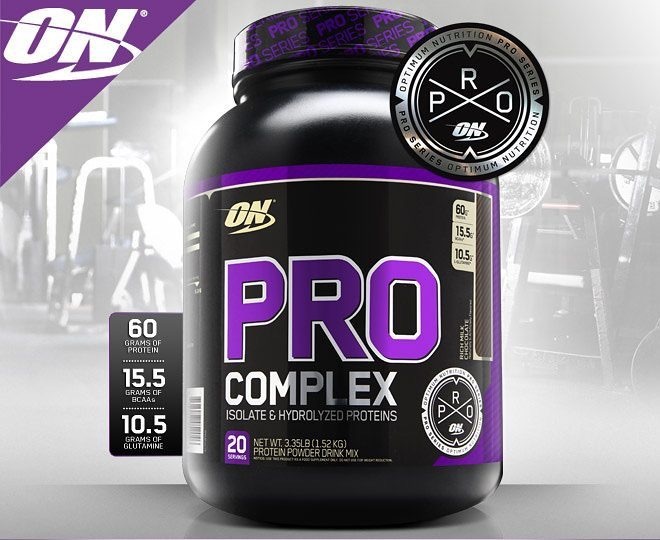 Whether the challenge awaits you on the gridiron, diamond, field, court, ring or gym, Gold Standard Gainer can fuel your nutritional needs in a very big way. The phrase ‘working up an appetite’ can apply to manual labor as well as physical exercise. Overweight people wanting to get into shape and lose weight might worry that the work they put in at the gym might increase food cravings. A study published in the journal Medicine & Science in Sports & Exercise compares the effects of steady state and interval training on obese subjects. Researchers assigned 46 inactive obese subjects (30 women and 16 men) to 12 weeks of moderate intensity continuous training or high intensity interval training. Both groups trained 3 times a week. 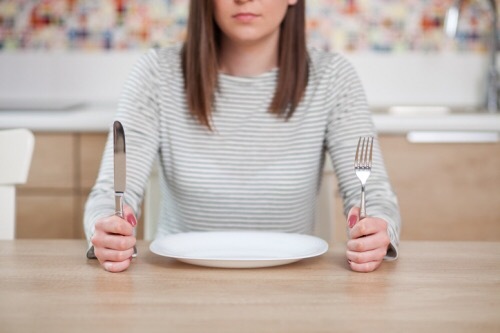 Feelings of appetite and hunger hormones were measured before and after the exercise intervention, and also before and after a standard breakfast. Although feelings of hunger increased with exercise, there was no difference between steady state and HIIT groups. “Help me! I can’t get more fit despite the fact that I eat healthy food and workout daily. A large portion of my dinners incorporate lean meats and loads of veggies. 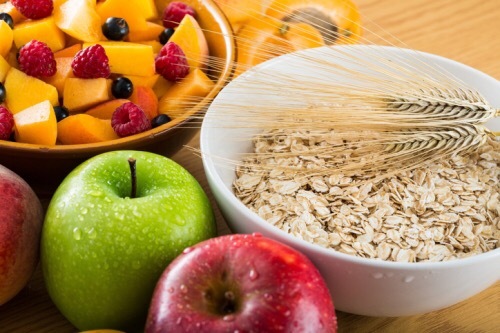 Alternate foods I eat are organic products, low fat dairy, nuts, beans, and entire grains. Once in a while eat food that contains sugar or a cheat meal. Why can’t I make any progress and get more fit? First of all, you should track the quantity you eat and drink and not only the quality. Every person has a BMR (Basal Metabolic Rate) which is the number of calories your body metabolizes while sedentary (in rest). This BMR decreases with age, and therefore the number of calories you consume should decrease respectively. Calculating the BMR allows you to know the right amount of calories to consumer per day, and according to your goal (lose weight or gain weight) you decide how much calories to add or take out. For example, if your BMR is 1745, and you are sedentary, multiply your BMR (1745) by 1.2 = 2094. This is the total number of calories you need in order to maintain your current weight. Another important factor is selecting your macros. Always try to get enough protein. Fabricate your dinners and snacks around a decent wellspring of protein, and go for 0.7 to 1 gram of protein for every pound of body weight every day. For example, if you weigh 90 kgs and need to get to 85 kgs, utilize 85 kgs to figure the 0.7-1 gram rule. 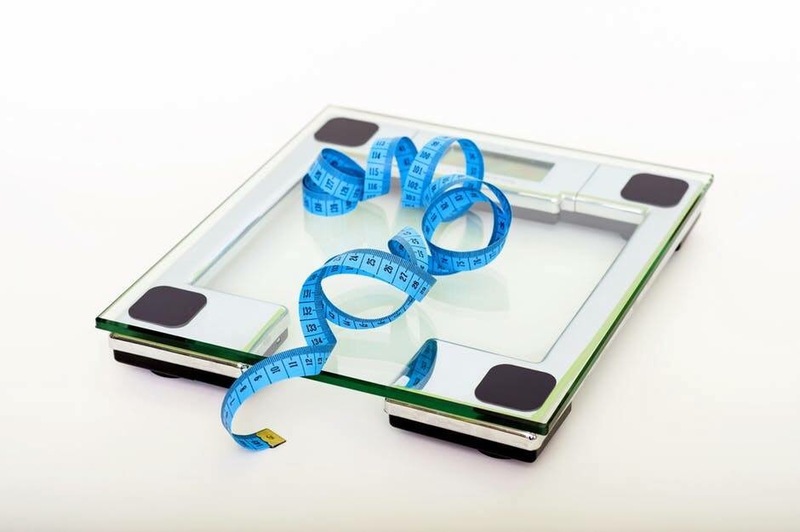 Depending on your goal, take a look at your calorie intake and mark it by 500 kcal less. For example, if you burn 2000 kcal per day, plan your meals to target 1500 kcal per day. This deficiency in calories will keep you feeling lighter and help you maintain your weight and body composition through the years. 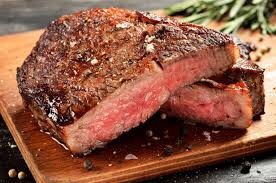 Remember every 1g protein = 4 kcal, 1g carbohydrates = 4 kcal, 1g fat = 9 kcal. 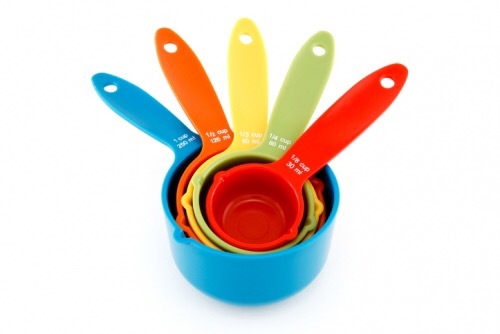 Calculate all your food to meet the desired intake of calories daily. Finally, try to have five to six small meals a day, making sure you eat properly but not till fullness. It’s not unusual to ache for a couple days after a demanding workout, especially if you’ve taken some time off from regular training. The condition is known as delayed onset muscle soreness (DOMS). A study published in the Journal of Agricultural and Food Chemistry suggests 200 ml of watermelon juice enriched with 3.3 grams of citrulline and 22 mg of ellagitannins from pomegranate concentrate can help. Nineteen young male subjects consumed one of four beverages before a session of squats. 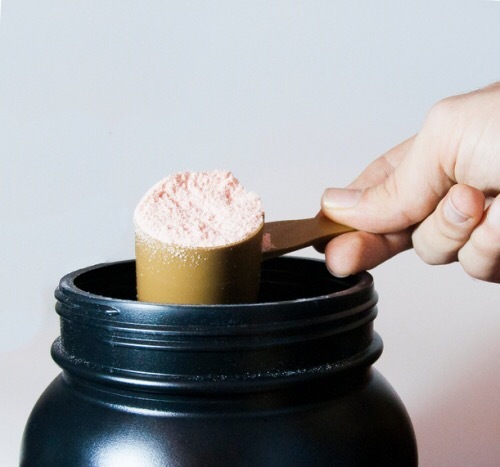 The watermelon/citrulline/pomegranate combination helped increase peak force an average of 3% and reduced muscle soreness compared to placebo. 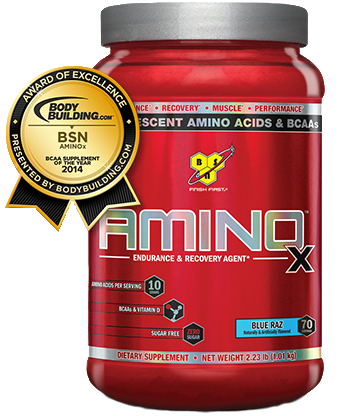 Subjects who used the 3-ingredient stack reported no muscle soreness after 48 hours. Depending on your sport, being able to jump higher can be a significant competitive advantage. 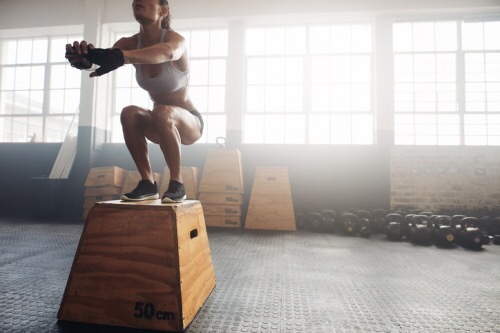 Athletes who want to elevate their game often turn to plyometric box jump type exercises. A study published in the Journal of Strength and Conditioning Research looks into what 8 weeks of plyometric training has to offer. Ten men and women in their early 20s were evaluated before and after 8 weeks of plyometric training. The program helped increase countermovement jump height by an average of 12%. Muscle contraction time was reduced along with muscle tone. The peak power output of 18 men and 20 women was used to group subjects by strength. Then all subjects did 5 sets of bench throws for 8 reps using 40% of their 1 rep max. Factoring in reported rates of perceived exertion, ability to maintain power output and muscle soreness 48 hours after training, stronger subjects only needed 2 minutes of between sets rest while weaker subjects required 3 minutes. A good night’s sleep is an important component of muscle recovery. Not getting enough sleep can also dull your focus. But what effect does sleep deprivation have on strength? A study published in The Journal of Sports Medicine and Physical Fitness takes a look using young Karate athletes as volunteers. On separate occasions, subjects took selective attention and muscle strength tests after a normal night’s sleep and a night of no sleep. Testing took place around 9 AM, Noon and 5 PM the following day. The time it took to apply maximum force increased and activation time decreased during middle of the day and evening tests after a night with no sleep. Researchers have tested caffeine under a variety of individual performance and team sports conditions. What about women who want a boost in the weight room? 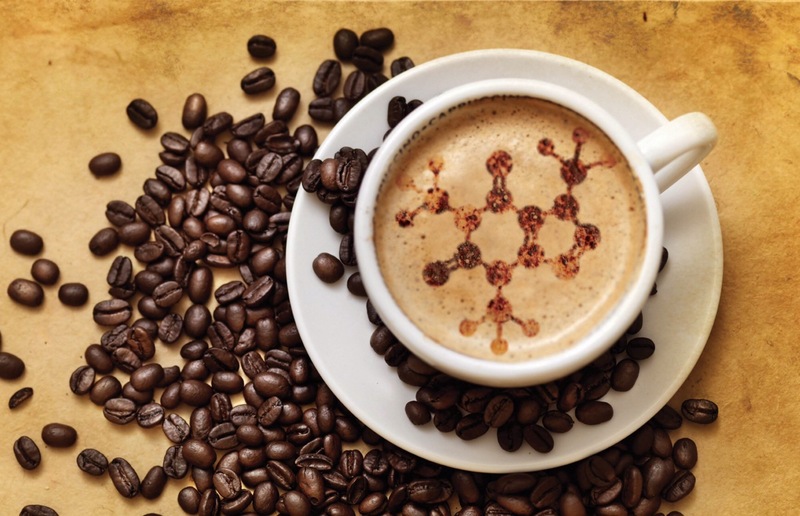 A study published in The Journal of Sports Medicine and Physical Fitness investigates caffeine’s potential on a circuit of popular resistance exercises. Eight women with at least a year of weight training experience performed hack squats, bench press, knee extensions and pull downs to exhaustion on 2 separate occasions. During one workout, they received a placebo. They got 6 mg of caffeine per kg of body weight 30 minutes before the other training session. 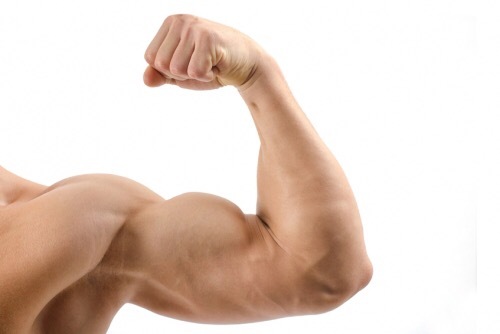 Caffeine increased reps to exhaustion and had a tendency to improve strength. 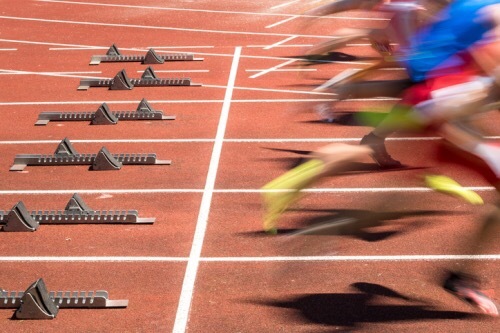 It’s no unusual for 20 and 40 meter races to be won by fractions of a second. What can you do to shave about half a second off your best time? A study published in The Journal of Sports Medicine and Physical Fitness suggests plyometric jumps using a weighted plate. Two days apart, 10 male track and field athletes raced 20 and 40 meters. On one occasion, after their usual warm up, they did jumps holding a plate weighing 24.7 pounds. They didn’t use this experimental treatment on the other race day. The jumps decreased finish time by an average of 0.459 seconds in the 20 meter event and 0.405 seconds for the 40. All water that has been exposed to oxygen is oxygenated, but some water bottlers have increased the levels of oxygenation with oxygen gas. There are athletes who consume this type of water with the idea that it might improve athletic performance. A study published in the Journal of the International Society of Sports Nutrition looks into the subject. 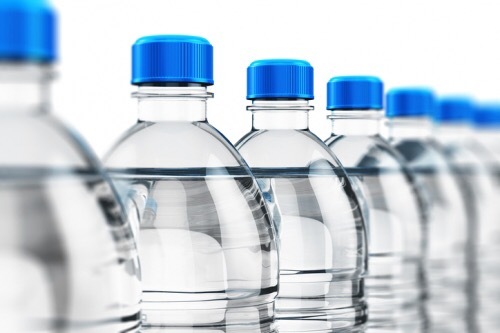 Experienced male runners drank 3 bottles of oxygenated water during a 30-minute rest period, another bottle while running a 5,000 meter time trial and 2 more bottles during 30 minutes of passive recovery. Compared to runners who got a placebo, runners who drank oxygenated water experienced faster lactate clearance during recovery. There were no differences in time trial performance or muscle tissue oxygen saturation. Around the world, many adults consume less than the recommended amount of fruits and vegetables. 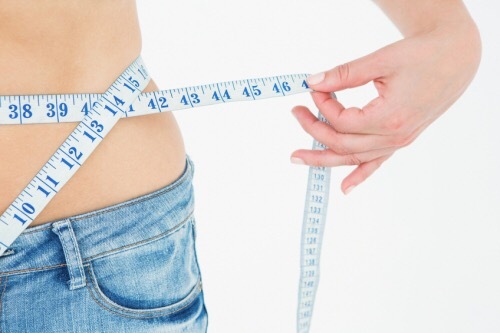 This can increase the risk of becoming overweight or obese. 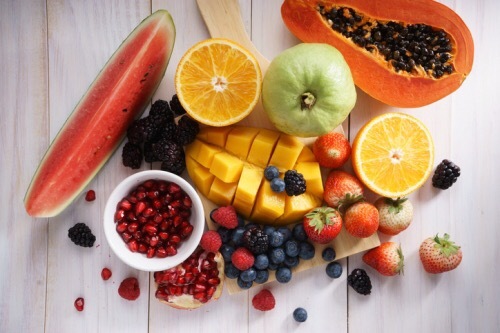 A study published in the European Journal of Clinical Nutrition looks into whether people increase their consumption of fruits and vegetables when trying to lose weight. 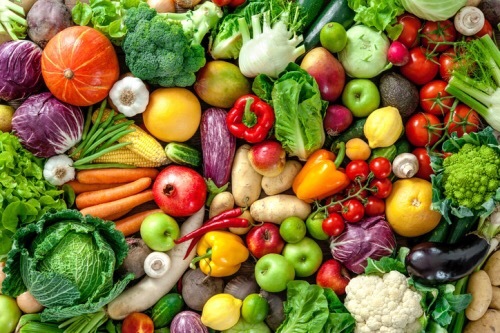 Analyzing results from 100 participants in the Australian Eating Survey, researchers found little change in fruit and vegetable consumption while subjects were on a weight loss diet. 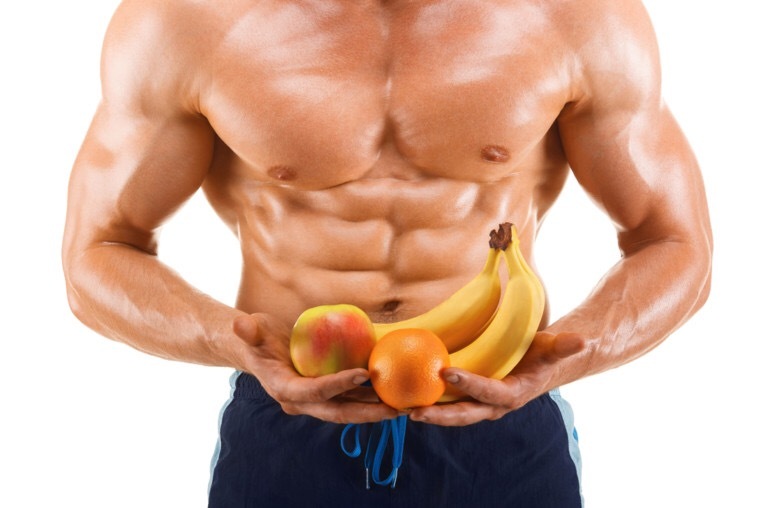 Men tended to increase fruit consumption, and the amount of fruits and vegetables men ate tended to predict their success with weight loss. It didn’t quite work the same way with female subjects. Weight loss is primarily accomplished in the kitchen and the gym. The idea is to burn more energy than you consume over a period of time. But it’s always interesting to read the latest peer-reviewed research on this topic, and a study published in The American Journal of Clinical Nutrition put two common supplements to work in cool temperatures. 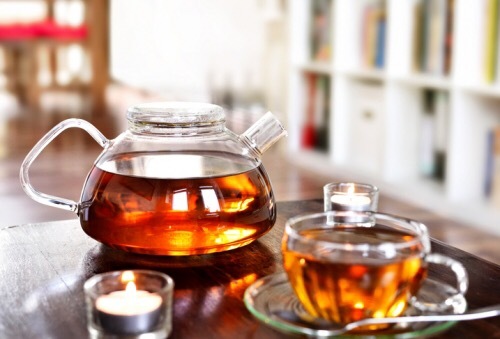 To investigate the thermogenic effects of green tea catechin and caffeine, researchers determined the brown fat activity levels of 15 healthy male subjects. Brown fat is generally activated at around 66 degrees. They were given a placebo or a beverage containing 615 mg of catechin with 77 mg of caffeine twice daily for 5 weeks in this cool environment. 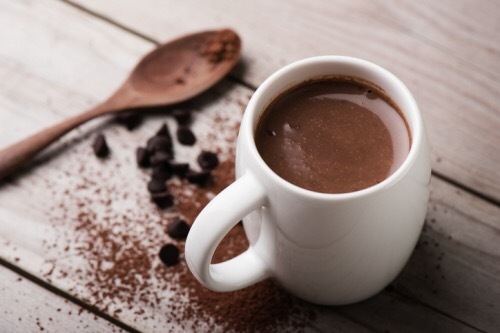 Caffeine slightly increased energy expenditure, but the combination significantly increased calorie burning for the 9 subjects with metabolically active brown fat. 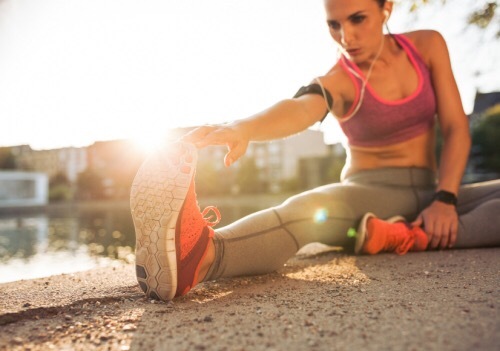 Caffeine has been shown to help with exercise performance, but its effectiveness varies depending on the type of exercise and conditions of the study. 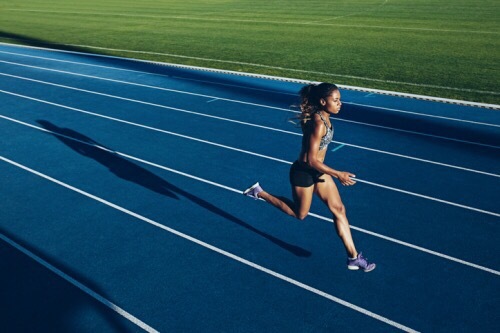 Research recently published in the International Journal of Sport Nutrition and Exercise Metabolism investigates caffeine’s impact on running performance at 115% of capacity. Eighteen recreational male runners in the late 20s and early 30s took a graded exercise test one hour after consuming 6 mg of caffeine per kg of body weight or a placebo. Time to exhaustion for caffeine supplementing subjects was 11.3% higher compared to placebo. Running time ranged from an averaged 130.2 seconds with caffeine to 118.8% with placebo. It goes without saying that pushing heavy stacks of plates is going to have an effect on your heart rate and blood pressure. And it makes sense that the impact will vary between upper and lower body exercises as well as for unilateral and bilateral movements. A study published in the Journal of Strength and Conditioning Research looks at these differences using 15 men with weight room experience. 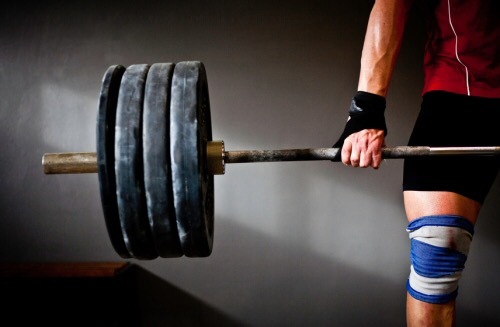 Subjects performed 3 sets of 10 reps biceps curls, barbell rows and knee extensions using 80% of their 10 rep max. 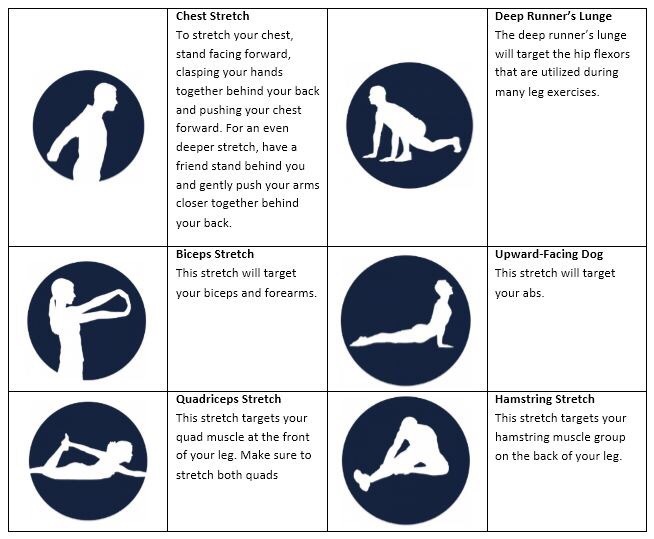 Each exercise was performed bilaterally, unilaterally and with alternating limbs. Heart rate and blood pressure increased significantly from pre- to post-workout. There was a greater cardiovascular response for upper body exercises compared to lower body movements and for bilateral compared to unilateral.